It can be overwhelming when you first start looking everything they produce. And that’s why we’ve put together this page. To share with you the doTERRA products we use regularly – not only on ourselves, but with our families as well. 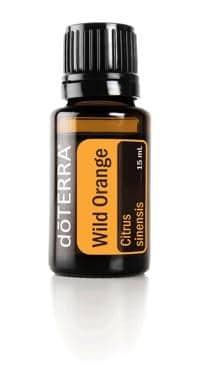 We realize that everyone’s different and will naturally have different likes and dislikes when trying any consumer items, but hopefully this gives you a nice starting point that helps make the world of doTERRA essential oils a little less daunting. We’ll certainly keep adding to this list as we try new things and new products are released. So check back often for updates! This is a brand new product and we’ve just received some for the very first time. Personally, I don’t mind the taste of Slim & Sassy Metabolic blend (Grapefruit, Lemon, Peppermint, Ginger and Cinnamon essential oils) – but it’s not for everyone. 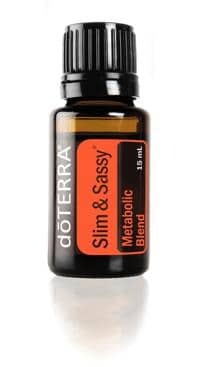 If you’re not a fan of the Slim and Sassy metabolic blend (affiliate link), it’s also available in a gelcap. But now that I’ve tried this new gum a few times, I know it’s going to become part of my regular, daily routine. When you’re on the go, the gum is much more convenient too! The flavor does run out pretty quickly, but I think that’s true for most gum. But if it helps you manage your hunger cravings, then it’s worth it. One of my very first experiences with doTERRA Peppermint happened really naturally. We had some friends + family over for dinner and as it happens some times, I ate a little too much dinner, ate a little too much dessert and drank a little too much wine. When Martha and Rod were leaving, she casually suggested that I might want to try some Peppermint because it’s supposed to help promote digestive health* and also help alleviate occasional stomach upset. I figured why not because my stomach sure was upset and not very happy with me. So, I added a drop of Peppermint to a big glass of water I was drinking and as I lay on the couch I began to feel better within minutes. It seemed a little strange at first, but I was instantly hooked. We’ve also found a few other cool uses for Peppermint Oil. Here in the desert it gets very hot in the summer and we’ve found Peppermint can help cool you off when you begin to feel overheated. And it’s a great way to stay alert on long drives or late-night study sessions since you can inhale it for a non-stimulant, invigorating pick me-up. With these beadlets you get all the benefits of Peppermint Essential Oil (affiliate link) in a convenient little dissolving beadlet. 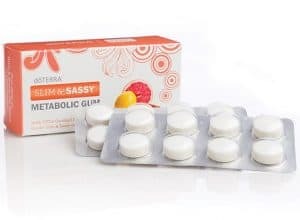 Just let one or two dissolved under your tongue to help freshen your breath, help alleviate occasional stomach upset*, help reduce bloating, gas, and occasional indigestion*, or to help promote healthy respiratory function and clear breathing. * All this in the easy to carry convenience of a tiny little beadlet! Lavender is known for it’s calming and relaxing qualities, so try adding a few drops of Lavender Essential Oil (affiliate link) to your pillows, bedding or bottoms of your feet for a restful night’s sleep. Lavender also helps soothe occasional skin irritations. I keep a bottle of Lavender in my kitchen so I can grab it quickly in case I nick my finger while chopping vegetables or burn my wrist on an oven rack. 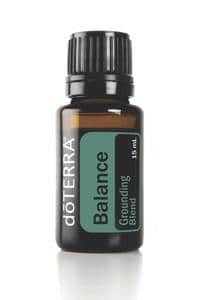 I think that Balance grounding blend (affiliate link)® has an amazing sprucy, woodsy aroma – I love it! I apply it to my wrists and the back of my neck every day. doTERRA Balance® helps promote a whole-body sense of relaxation and helps bring about feelings of tranquility and balance. You can also add it to the bottoms of your feet when you’re getting ready in the morning to help lessen feelings of stress throughout the day. I think it has an amazing energizing aroma. It never fails to put a smile on my face. It is also a powerful cleanser and purifying agent when used to clean counter tops, tables, and other surfaces. It can help purify the air and will bring a wonderful smell to every corner of your home when used in a diffuser or by placing a few drops on your air filter. Lifelong Vitality Pack (affiliate link)® is a dietary supplements pack that includes Alpha CRS+®, MicroPlex MVp™, and xEO Mega®. Rather than mega-dosing on vitamins and wasting your money, this special formula from doTERRA strikes the right balance on a daily basis. 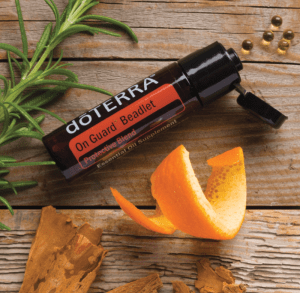 doTERRA is so confident in these vitamin and mineral supplements that they offer a full 30-day money back guarantee if you’re not completely satisfied. Just like Peppermint, On Guard® comes in beadlets, so you can keep them in your pocket or your purse for easy, on-the-go immunity support. * The beadlets also help keep your breath fresh. The foaming On Guard® hand wash is a great alternative to the chemical laden antibacterial soaps on the market today. doTERRA On Guard Natural Whitening Toothpaste® is safe for sensitive teeth, helps remove plaque and stains and helps keep breath fresh. It’s a unique cinnamon-mint flavor that naturally whitens teeth without flouride. It also includes Myrrh Essential Oil (affiliate link) which helps with cleansing. This is one of my favorite face washes that I’ve ever used. It cleans without drying my skin out, promotes a clear complexion and helps reduce breakouts. I’ve also noticed recently that it helps soothe any redness or skin irritations. I’ll be honest though, it is an acquired taste that’s not for everyone. Some people like to add it to their water or tea, but I prefer to put a drop or two under my tongue. If you don’t like the oil, you can also get this as an easy-to-swallow softgel. Both versions are diruetic-free, stimulant-free and calorie-free and perfect for any weight management program. Slim & Sassy® Trim Shake is also my protein powder of choice. It comes in vanilla, chocolate and vegetarian option known as V Shake. 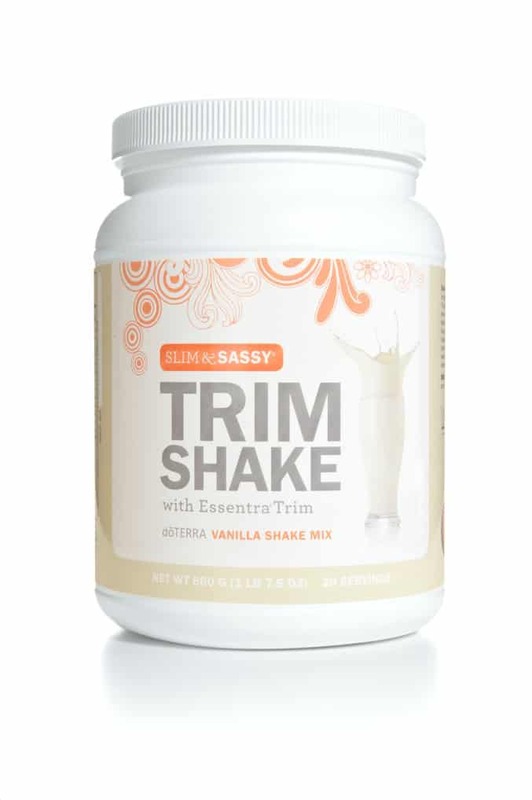 TrimShake (affiliate link) is a convenient low-calorie, low-fat, high-protein, high-fiber alternative for anyone who is trying to lose fat or maintain a lean body composition through reduced calorie consumption and exercise. TrimShake (affiliate link) may help control a stress-induced appetite, overeating, carbohydrate cravings and helps fight hunger cravings. This is the ideal soothing blend that can be used before or after exercise. I find it works well when applied to my feet, hands, knees and lower back. It’s also helpful to rub some into your fingers, hands, arms, shoulders and neck when working a computer all day. This is another oil that takes a while to get used to the taste. It has powerful cleansing properties, especially for your mouth and throat. I also will occasionally add some to my unscented moisturizer because its soothing to the skin and helps reduce the appearance of fine lines and wrinkles. Myrrh is also en effective mouth rinse when added to water and used for gargling. This is an interesting blend of oils because it creates a unique scent that’s different for everyone and will accentuate your own body chemistry. This is the ideal women’s blend. If you’re feeling hot, you can apply to your skin for a cooling, soothing effect. I find that it helps balance my mood throughout the entire month. My new best friend! 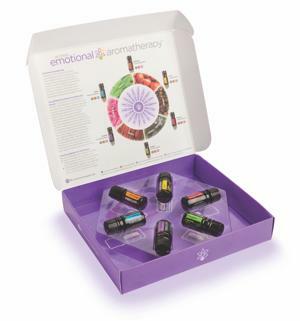 There are 6 oil blends that make up doTERRA’s Emotional Aromatherapy. Right now my favorites are doTERRA Cheer® doTERRA Motivate® and doTERRA Peace®. Cheer® promotes feelings of happiness and optimism. Motivate® promotes feelings of confidence, belief and courage. Peace® promotes feelings of reassurance and contentment.